Following an intensive year of research trials, we are delighted to announce that the Quickscreen (QS) online dyslexia test is a statistically proven tool for use by individuals and organisations. The QS online dyslexia test has shown ‘strong statistical evidence of an association between the independent dyslexia diagnosis and the QuickScreen test indication’. There are over 5000 candidates who have completed the test (aged 17+), they accessed it via the British Dyslexia Association (BDA) website, along with trials at Universities for their students. All test participants receive a very detailed report by email upon completion of the online dyslexia test. Only those candidates with a prior dyslexia assessment were selected together with non-dyslexic students who participated in the control group and these formed the basis of the research study. Both studies have indicated that anyone who gets a ‘mild, moderate or strong result on the QS test is highly likely to be dyslexic. Their result could, in time, be a sufficient substitute for a full dyslexia test’ when arranging financial and study support for individual students, or making reasonable adjustments for individuals within their place of work. There is also strong statistical evidence of ‘a clear association between the speed of processing and dyslexia’. In the QuickScreen online dyslexia test this is one of the key aspects of the report conclusion. Read the full research paper. How do I access the QS online dyslexia test and how much is it? Find out more about the dyslexia test for individuals and organisations and access the test here. 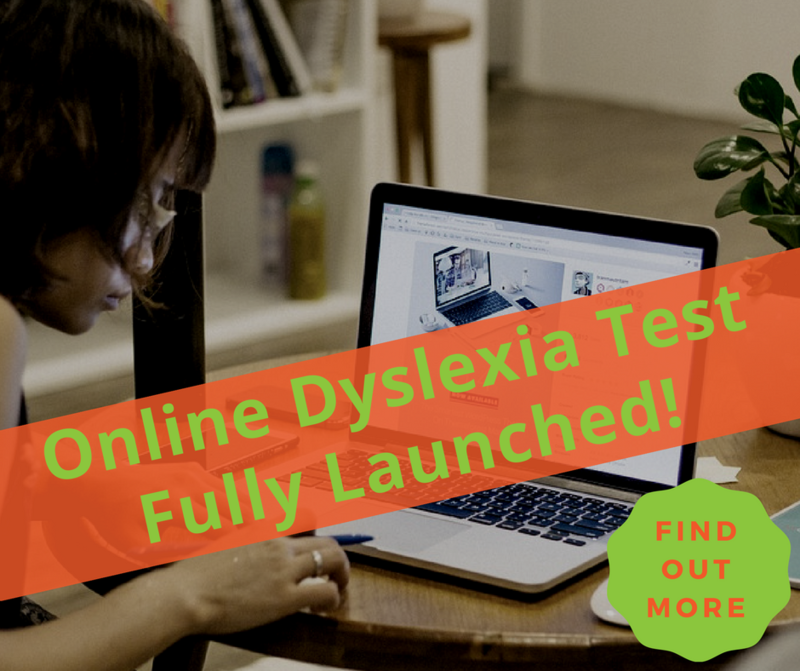 The QS online dyslexia test is now available to individuals for just £10 and to organisations as a free 2 month trial before a license payment is due. What’s special about the QS online dyslexia test? You can undertake the various parts of the test in stages to suit your schedule – but it can all be completed in under 1 hour. Choose to use a PC, Mac, iPad or tablet to take your online dyslexia test. You will immediately receive a very detailed report by email that identifies none, borderline, mild, moderate or a strong association with the indicators of dyslexia. You can read QS online dyslexia test testimonials and reviews from many candidates who have benefited from the QS online dyslexia test. We have years of experience in providing successful online dyslexia testing and will continue to conduct more University-based research in 2017. If you have any questions please contact us, we’d be delighted to help.